1. Stopping Smoking. If the main reason people keep smoking is because they are addicted to nicotine, the nicotine replacement therapy (NRT) would be really effective. It isn't. In fact NRT such as patches or gums is only 7% more effective than a placebo. Hypnotherapy addresses the unconscious desire to smoke and the habit, with a much higher success rate of over 60%. 2. Weight Loss. If you can stick to a diet, chances are you will lose weight. The only problem is that you have to be able to stick to it long term to lose a meaningful amount of weight, and possible indefinitely to maintain the weight loss. We as human beings have shown ourselves to be spectacularly bad a sticking to diets. Issues of deprivation, motivation, willpower, stress and emotion all come into play to sabotage our latest diet. The answer is to use hypnotherapy to work on these issues at a deep level, helping us to reduce stress, change unconscious habits, see food, and ourselves differently and make lasting changes that we can stick to. 3. Stress. Stress occurs when we negatively react to the environment around us. We can't always change the things that happen in our lives, but we do have the power to change our responses. Hypnosis allows you to tap into inner resources to manage stress more effectively, to cope better in any situation and remain calm and relaxed no matter what life throws at you. 4. Confidence. Using hypnosis is the quickest and easiest way of feeling more confident and better about yourself. Whether you've always had low confidence or whether a life experience damaged your self confidence, hypnotherapy can help you to move forward, feel good about yourself and give you the confidence to do all the things you'd really like to do. 5. Fear or phobias. Get control over your mind and your life by conquering your fears with hypnotherapy. During the relaxed state of hypnosis, you can explore reasons for your fear, move past them and replace feelings of fear with those of controlled calmness. It is a pleasant, relaxing and enjoyable experience. Some clients describe it as being like an enjoyable daydream, and some enjoy it so much that they want to stay for longer in that relaxed state. You remain aware and in control at all times. Stage hypnotists thoroughly vet their participants before hand - they choose extroverts who want to perform on the stage and who would not embarrass themselves or the hypnotist by not playing along. Since hypnosis cannot make someone do something they do not want to do, the participant subconsciously wants to do as the hypnotist asks and play along. 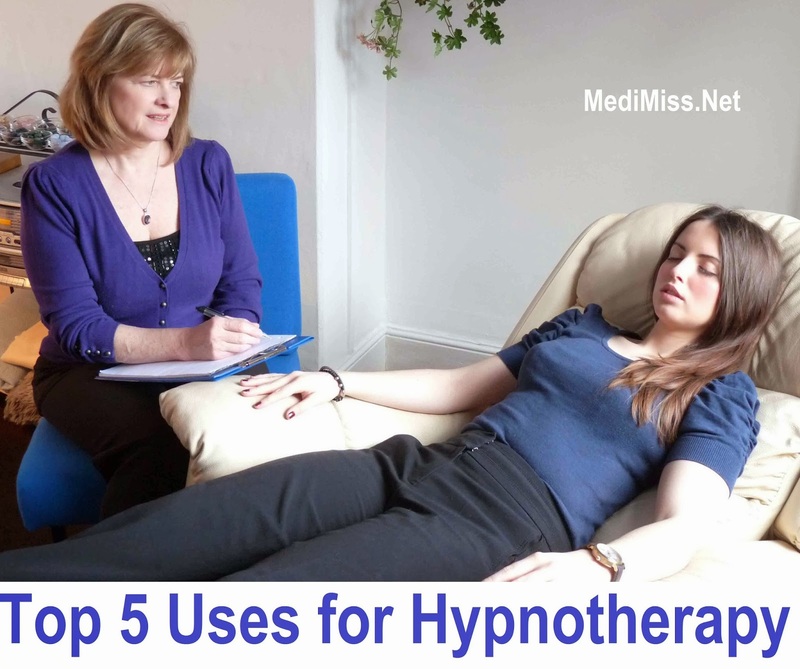 Although this can demonstrate the power of hypnosis, it differs from hypnotherapy in a number of ways. Hypnotherapy aims to get to the root cause of your issue or problem, and the therapist works with you to empower and help you to make these changes. Your best interests are always at heart, and your integrity is of the utmost importance.